Overton Wright grew up in Leno, Tennessee, a small town just outside of Memphis. He was somewhat of a child prodigy, performing solos in Church by the time he was six years old. He and his brother joined local Memphis Gospel group The Five Harmonaires, but it wasn't long before O.V. was asked to join the nationally known Sunset Travelers. The Travelers recorded for Don Robey's Peacock label in Houston, and O.V. made a few sides with them before returning home to Memphis. He got a job with the Sanitation Department, and sang with both The Jubilee Hummingbirds and The Harmony Echoes every weekend. 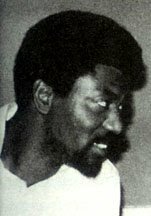 Roosevelt Jamison was a hard working lab tech who ran a walk-in Blood Bank in downtown Memphis for the University Hospital. His first love was music, however, and he worked as a manager and promoter of local Gospel acts on the side. The door of the Blood Bank was always open, and singers would drop by to rehearse in the relative quiet of the back room. O.V. 's group, The Harmony Echoes, did so often, and before long the two men hit it off. They began writing songs together, sharing their dream of "crossing over" and making it big as so many others were doing at the time. 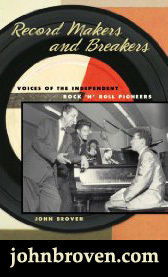 In the early sixties in Memphis, the town was gripped by "record fever". People looked at the success of small labels like Sun, Stax, and Hi and thought "Hey, why not me?". Anybody with a few hundred bucks, it seemed, could start a record company and, with any kind of luck, find the next Elvis or Otis. One such dreamer was Quinton Claunch, who had been one of the original investors at Hi wth Joe Cuoghi in 1956. He had chickened out, however, and sold his interest just before Smokie (Part 2) hit big in 1959. He saw his second chance when a local pharmacist named Doc Russell approached him with the idea of starting a label. Claunch was friends with Rick Hall who had his Fame Studios up and running across the river in Muscle Shoals, and he recorded a local group called The Lyrics there in early 1964. 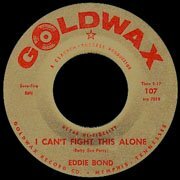 The song, Darlin', became the first release on their new Goldwax label and made some minor local noise. Jamison, meanwhile, had made a demo tape of some of the songs he had written, with O.V. Wright and another member of The Harmony Echoes, one James Carr, handling the vocals. He had taken the tape to Jim Stewart over at Stax, but he didn't show much interest, claiming it was "too Gospel". As legend has it, Jamison's next move was to show up on Quinton Claunch's doorstep in the middle of the night with the tape in his hand. Claunch was blown away by what he heard. They brought O.V. into the studio, and released There Goes My Used To Be as Goldwax 106 within a week. It was the B side of the record that took off, however, and before long That's How Strong My Love Is became the label's first legitimate hit. 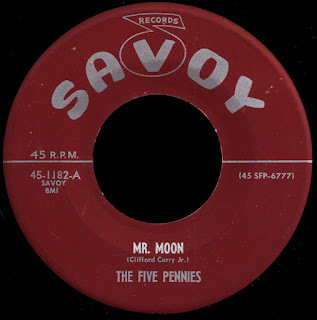 Not one to be outdone, Jim Stewart had Otis Redding cover the song as well, and Volt 107 hit big in December of '64, breaking into the R&B top 20. 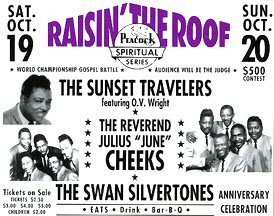 Don Robey watched all this with interest, then promptly threatened to sue Goldwax, claiming that Wright was still under contract to him from his days as a member of The Sunset Travelers. The owners of the fledgling company capitulated, and Robey assigned O.V. to his Back Beat label, which he envisioned as the soul subsidiary of his Duke/Peacock empire. 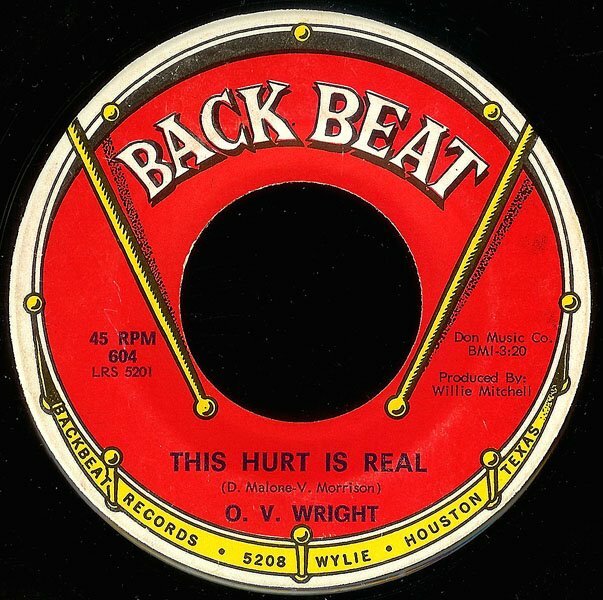 If nothing else, Robey knew talent when he heard it, and hired Willie Mitchell to produce Wright's records at Hi's Royal Studio in Memphis. The singles they would release over the next few years on him are, in my opinion, some of the greatest deep soul recordings ever made. 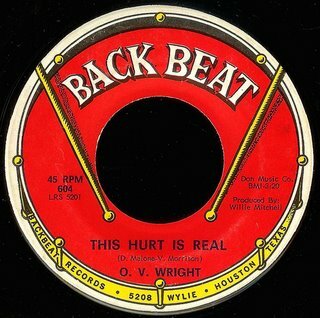 His second Back Beat record, You're Gonna Make Me Cry, was a huge hit, cracking the R&B top ten in 1965. Eight Men, Four Women, his excellent dream sequence about the "jury of love" climbed to #4 in early 1967. 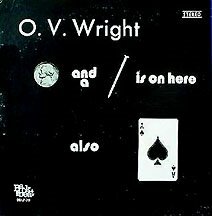 Back Beat released ten more singles on Wright (most notably Ace Of Spades in 1970, and the previouly mentioned A Nickel and A Nail in 1971) before Robey sold his labels to ABC in 1973. Wright spent some time in jail on drug possession charges shortly after this. 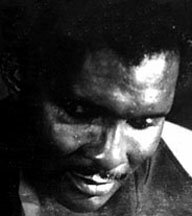 When he got out he signed with Hi Records where he continued to work with Willie Mitchell. They would release some great stuff, like 1977's Into Something (Can't Shake Loose), but he would never recapture the sheer intensity of his early work. O.V. had open heart surgery in 1979, and the doctors advised him to take it easy. 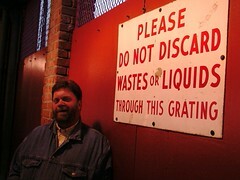 He died of a massive heart attack in the back of an ambulance the following year. His hurt was so real. Great selection. I love this guys voice. I have a 79 single of his called "I Found Peace", real smooove. Its ironic that he died the same year. I sometimes confused him with O.C Smith, only because of the initials. Great choice dude. Thank you. The multi-CD collection of all his Hi material has no false notes. Also worthwhile is the 2001 out-of-print collection O.V. Wright - Giant Of Southern Soul 1965-1975. I think it came out in the UK from Connoisseur Collection Ltd., with original Backbeat and ABC recordings. O.V. 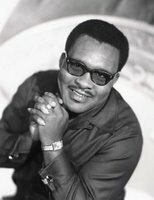 was one of the greatest soul singers -- maybe the greatest. It's a shame he never got the attention he deserved. At least we can enjoy his work today. 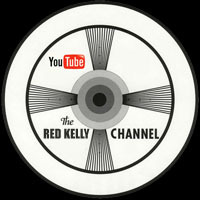 I don't plan on posting there on any kind of regular basis, but my shiny new UNLIMITED BANDWIDTH plan over at audioblog.com will allow me to just leave 'em up there, the same way I've been doing here at the "B". SO, I've put up "Missing You" and a couple of other A sides to get the ball rolling... let me know what you think!